This webpage includes guidelines for the format of the final submission of papers and documents for the CMC2016 Proceedings and Springer Volume, and guidelines for the preparation of posters. Click on these links to go to the relevant section. CMC2016 accepts submissions in four categories: Papers (oral presentation or virtual presentation), Poster Presentation with Paper (both physical presentation or virtual presentation), Poster Presentation without Paper, and Presentation of Innovative Experience. Each of these different types of papers is described in the formal Call for Papers. Please observe this conference is about concept mapping, so papers that are not about concept mapping will be rejected. All papers should be presented in English, Spanish or Portuguese. The Proceedings of the Conference will be published as a book therefore special attention needs to be paid to the paper formatting, particularly on the camera-ready submission. A Microsoft Word template/sample paper is available as a guideline, which must be followed closely. Papers submitted in technically unsuitable form will not be published in the Proceedings. 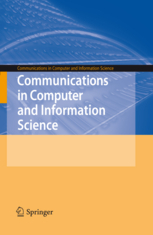 A selected number of Papers will be published as a special volume of Springer. Oral Presentation and Virtual Presentation Papers: maximum length of 10 pages (increased from the original limit of 8 pages). Poster Presentation with Paper and Virtual Poster Presentation with Paper: maximum length of 4 pages. Poster Presentation without Paper and Virtual Poster Presentation without paper: 500-word abstract. Presentation of Innovative Experience: maximum length of 2 pages (increased from the original limit of 1 page). The submission process consists of two stages. Initial Submission for Review: the submission is reviewed by the Program Committee, and the submission is either accepted or rejected (in some cases, the submission maybe be accepted in a different category that the one for which it was submitted). For the Initial Submission there is the option of an Early Submission, which will provide the author with an earlier decision on the acceptance of their submission. Please note that submissions to the “Oral Presentation”, “Virtual Presentation”, and for “Poster Presentations with Paper” categories, a complete paper must be submitted for review. If you submit an Abstract, it will be reviewed for the “Poster Presentation without Paper” category. Final Submission: camera-ready submission of the paper for inclusion in the Conference Proceedings. And for Virtual Presentations, the presentation file (Power Point or equivalent or video) or poster in PDF format. We’ve added an Early Submission date (April 1) for those authors who need to know early whether their paper has been accepted or not, usually to request financial support. The regular submission deadline is April 29. You can do your submission at any of the two dates. All submissions should be written in English, Spanish or Portuguese. 500-word maximum abstract. The abstract will be included in the Conference Proceedings. The single page Word document should be uploaded and comply with the formatting guidelines below. The following are Word documents that can be used as a guideline. If you don’t want to use these Word documents, see the Formatting Details section below. 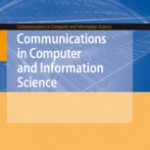 If your Oral/Virtual Full Paper presentation has been selected for the Springer volume in their Communications in Computer and Information Science (CCIS) Series, you need to follow the formatting guidelines described in this link: Lecture Notes in Computer Science Series (LNCS). A PDF with the Author Guidelines can be found here. The formatting is quite different to cmc2016 Proceedings formatting, but templates are provided. A copy of the template and instructions can be downloaded at the following links. The paper limit is 12-15 pages, as the font size is larger. In the instructions, any references to ‘volume editors’ refers to cmc2016 organization. The paper should be submitted as a Word document using the cmc2016 submission website. Two-page maximum description of the experience. If relevant, the document can include references in the described format. The formatting details should be the same as for Oral Presentation Papers, Virtual Presentation Papers, Posters with Paper, and Virtual Posters with Papers described below. The main difference is the number of pages and optional references section. If you don’t want to use the Word documents provided as a basis, see the Formatting Details section below. Oral Presentation Paper and Virtual Presentation Paper submissions should have a maximum length of 10 pages. Poster with Paper and Virtual Poster with Paper submissions should have a maximum length of 4 pages. Please note that the complete paper must be submitted for review, a submission consisting only of an abstract will not be considered for these categories. All figures (e.g. concept maps) must be in the same language as the paper. If needed, a translated figure should be included besides the original figure. Figures should, to the extent possible, be included within the text, not as appendices at the end. Make sure all figures are included and referenced properly. Even if they are at the end, figures are included in the page count limit. Make sure that figures are legible, particularly concept maps. If they are in color, make sure they read well when printed in black and white. References should be placed at the end of the paper, as in the sample document and template available below. The abstract should be in the same language as the rest of the paper. The initial submission is through a Web page interface. Do not send papers through email. If you have technical difficulties with the submission, send an email to the contact address of the conference cmc2016. Please observe that no author names or affiliation should be included within the initial submission document. These should be included in the final submission of the paper. The document itself should be prepared as a Word (.doc) document following the template/sample paper available below. The document should be uploaded as a single, Word document, not as a zip file. PDFs are not accepted either. Please use the following Word documents as a guideline for your paper. All papers, posters, symposium and roundtables use the same format, the difference is in the length of the papers submitted. If you are submitting a Poster without Paper, just delete all the text after the Abstract. For an Innovative Experience, write a one-page description following the given format for the title and authors. In case you want to set up your own styles, details are included at the end of this page. Page size: Please note that the paper size is European Standard A4 size (approx 8.27 x 11.69 in). For Americans, this is narrower and longer than the Standard Letter size, which is 8.5 x 11 in. In Word, go to the Page Setup menu, and under Paper Size select A4 Size. Margins: 2.54 cms (1 inch) on each of the four sides of the page. Please make sure figures are within these margins. Page numbers: do NOT include page numbers, these will be added by the publisher. Font: The Font throughout the document should be Times New Roman. Font size: Except where indicated otherwise (e.g. Title), point size should be 10. Paper Title (Title): Centered, no indentation, 10 pt, bold, all caps, spacing before: 20 pt, after: 20 pt. Authors (Authors): Centered, no indentation, 9 pt, italic, spacing before: 3 pt, after: 12 pt. (authors are not included in this initial submission). Abstract (Abstract): Justified, 8 pt, Times New Roman, Left Indent: 0.25 in, Right Indent: 0.25 in, Spacing before: 0 pt, after: 0 pt., Line Spacing: Single. First Paragraph after Heading (Paragraph after Heading): Times New Roman, 10 pt, Justified, Left Indent: 0, Right Indent: 0, Line Spacing: Single; Spacing before: 0pt, after: 0pt; Style for following paragraph: para. Paragraphs (para): Times New Roman, 10 pt, Justified, Left Indent First line: 0.25in, Right Indent: 0, Line Spacing: Single; Spacing before: 0 pt, after: 0 pt; Style for following paragraph: para. References/Bibliography (Reference): Times New Roman, 10 pt, Justified, Left Indent: 0 in, Right Indent: 0 in, Hanging Indent: 0.3 in; Line Spacing: Singe; Spacing before: 0, after: 4 pt. Figure & Table Captions (Caption): Times New Roman, 8 pt, Centered, Spacing before: 6 pt, after: 6 pt. Authors of Virtual Posters (with or without Paper) should submit their poster in PDF version as an attachment to cmc2016@ihmc.us by August 15, 2016. We will print the poster in Tallinn, Estonia. Posters provide the opportunity to show your work on a one-on-one basis with interested colleagues. You want to attract and hold the attention of the passer-by, so spend time planning and preparing your poster. Make sure to include concept maps that are part of your work in the poster — e.g., students’ concept maps, expert concept maps, etc. Make a mock-up of your display, with typing and printing the size you intend to use. Mount it, back away about two meters and see what impression it makes. Is it easy to read from a distance of one meter? The contents should be displayed in a logical sequence: e.g. Introduction, results, discussion and conclusions. Material will have to be read by attendees from a distance of one meter or more. Therefore, large, bold lettering is advised. Be sure that concept maps and other illustrations are legible. The effectiveness of a poster presentation will be enhanced by adding some color. However, the presentation needs not to be “arty”. Ease of reading and good organization is more important than artistic flair.